Prof. Atta-ur-Rahman, is a leading scientist and scholar in the field of organic chemistry from Pakistan, especially renowned for his research in the various areas relating to natural product chemistry. With over 840 publications in the field of his expertise, he is also credited for reviving the higher education and research practices in Pakistan. Atta-ur-Rahman has had a prominent record in Cambridge Overseas School Certificate in 1958, and 'A' Levels in 1960 from the Karachi Grammar School. In 1963, he received B.Sc (Hons.) in Chemistry, followed by M.Sc in Organic Chemistry from Karachi University. He received Commonwealth Scholarship in 1965 to study for Ph.D in Organic Chemistry under supervision of Dr. J. Harley Mason and received Ph.D at Kings College, Cambridge in 1968. He was subsequently awarded a Doctorate of Science by University of Cambridge in 1987, a Doctorate of Education by Coventry University in 2007, a Doctorate of Science by Bradford University in 2010, and a Doctor of Philosophy by Asian Institute of Technology, Thailand in 2010. Atta ur Rahman started his career in 1964 as a Lecturer at University of Karachi. He remained Fellow at Kings College, Cambridge between 1969 and 1973. In 1977, he became Co-Director of Hussain Ebrahim Jamal Research Institute of Chemistry at University of Karachi to become Director in 1990. He has over 843 publications in leading international journals in several fields of organic chemistry including 663 research publications, 18 patents, 103 books and 59 chapters in books published by major U.S. and European presses. Seventy two students have completed their Ph.D. degrees under his supervision. Fellow, Kings College, Cambridge University (1969-1973). Professor at H.E.J. Research Institute of Chemistry at Karachi University. Federal Minister of Science & Technology (2000-2002). Federal Minister of Education (2002). Former Federal Minister/Chairman, Higher Education Commission, Pakistan (resigned due to govt issues)(2002-2008). Advisor to the Prime Minister of Pakistan on Science and Technology(2002-2008). Honorary Life Fellow, Kings College, Cambridge University (2007-present). 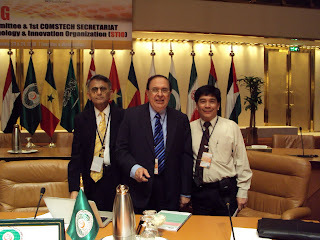 Distinguished National Professor International Center for Chemical and Biological Sciences at Karachi University (2011-present). 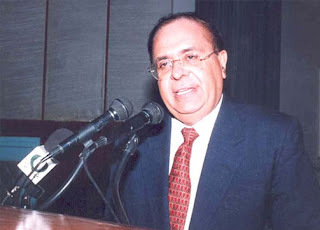 Patron-in-Chief International Center for Chemical and Biological Sciences at Karachi University (2009-present). 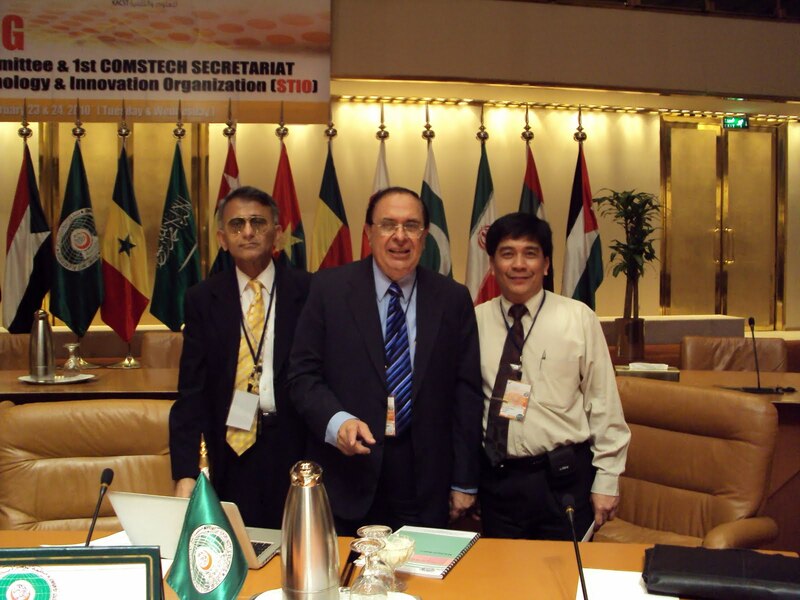 Prof. Rahman was elected as Fellow of Royal Society (London) in July 2006 thereby becoming the one of the 4 scientists from the Muslim world to have ever won this honour. He has been conferred honorary doctorate degrees by many universities including the degree of Doctor of Science (Sc.D.) by the Cambridge University (UK) (1987) and an Honorary degree of Doctor of Education by Coventry University UK in November 2007. He was elected Honorary Life Fellow of Kings College, Cambridge University, UK in 2007. University of Technology Mara, Malaysia, has decided to setup a science centre in the name Prof Atta ur Rahman in recognition of his services to science and technology and higher education. Besides plans to establish a center of natural product chemistry at UiTM to honor Dr. Atta, the Malaysian university will also honour Dr. Atta with its DSc degree. 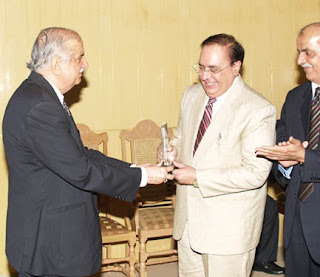 Prof. Atta-ur-Rahman was conferred the TWAS Prize for Institution Building in Durban, South Africa in October 2009 in recognition of his contributions for bringing about revolutionary changes in the higher education sector in Pakistan. He was awarded the Engro Excellence Award in Science & Technology 2011 with a prize of Rs. 5 million (US $ 59,000) for meritorious contributions. The Austrian government also honoured him with its highest civil award "Das Große Goldene Ehrenzeichen am Bande", 2007 in recognition of his eminent contributions.